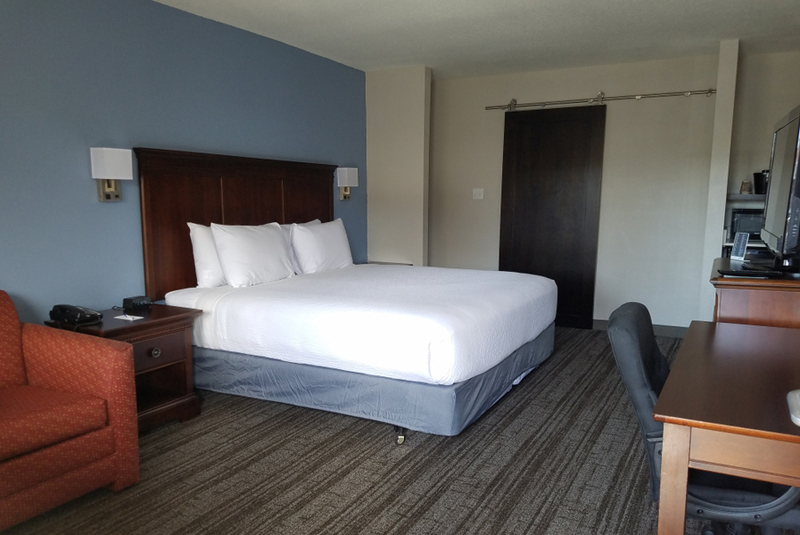 Relax in our newly renovated 300 sq. 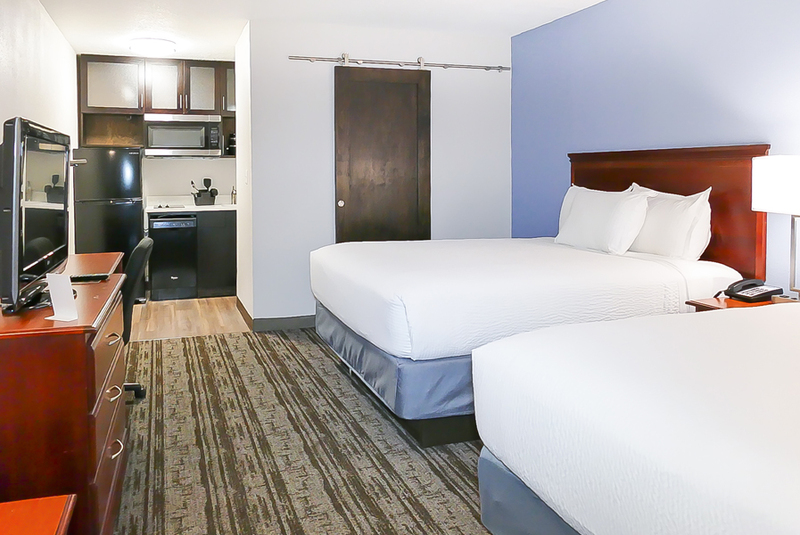 ft ADA compliant guestroom with 1 king size bed, roll-in shower, free hot breakfast, and free Wi-Fi. Enjoy our newly renovated 300 sq. 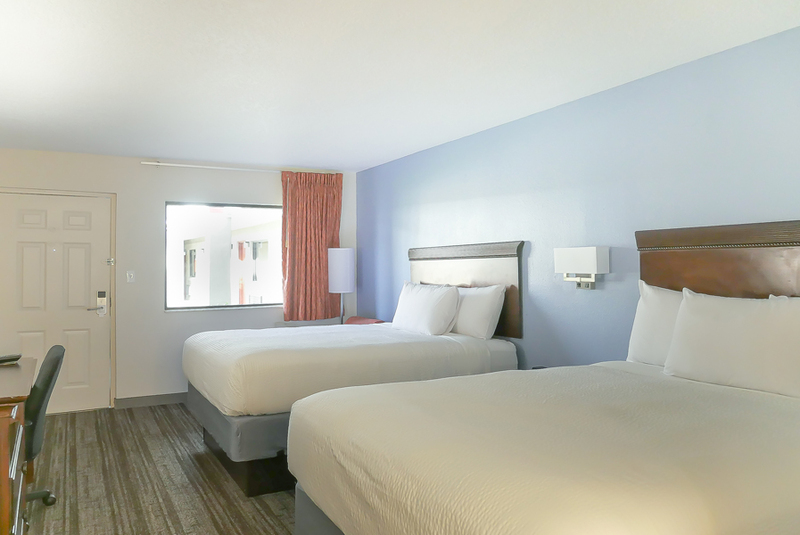 ft ADA compliant guestroom with 2 queen size beds, roll-in shower, free hot breakfast, and free Wi-Fi. 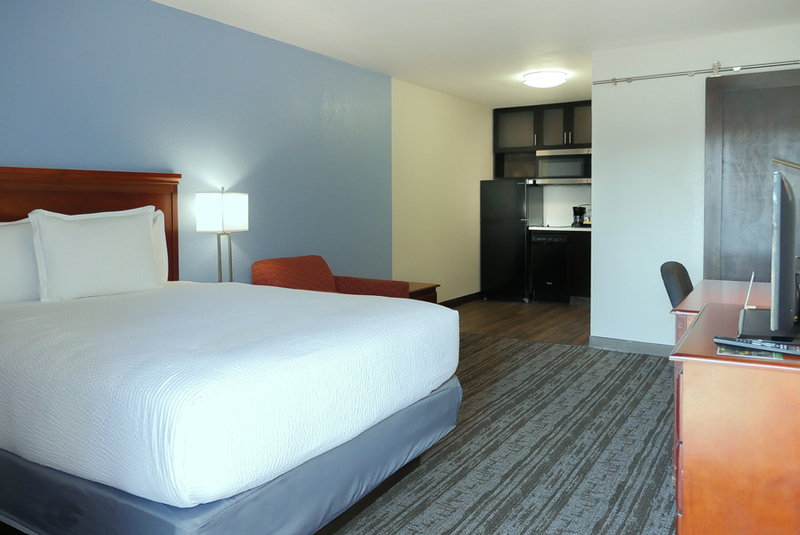 Relax in our newly renovated guestroom with 1 king size bed, free hot breakfast, and free Wi-Fi. 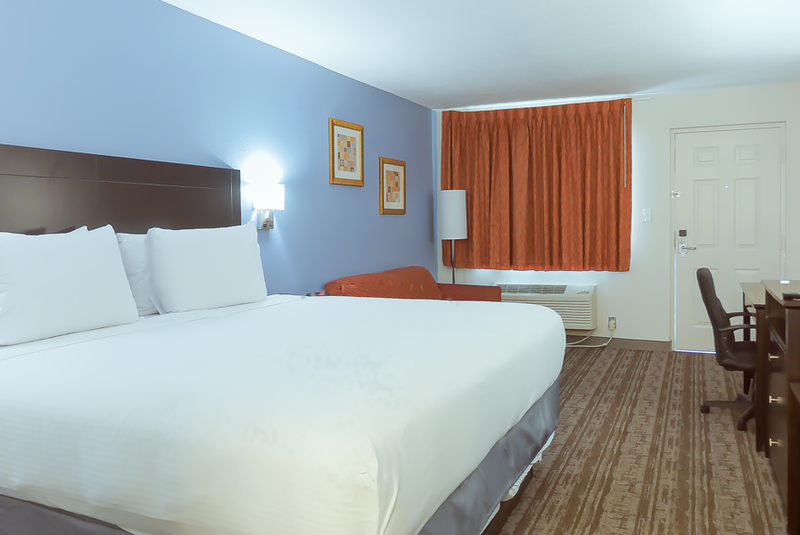 Enjoy our newly renovated guestroom with 2 queen size beds, free hot breakfast, and free Wi-Fi. 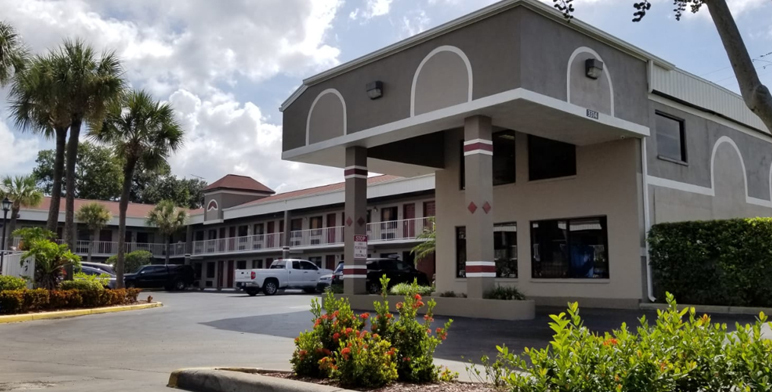 Our modernized guestroom features 1 queen bed, a fully-equipped kitchenette including a full-size refrigerator, glass stovetop, dishwasher, large microwave, cookware, silverware, dishes and glasses, free hot breakfast, and free Wi-Fi. Ask about our Extended Stay Discounts! 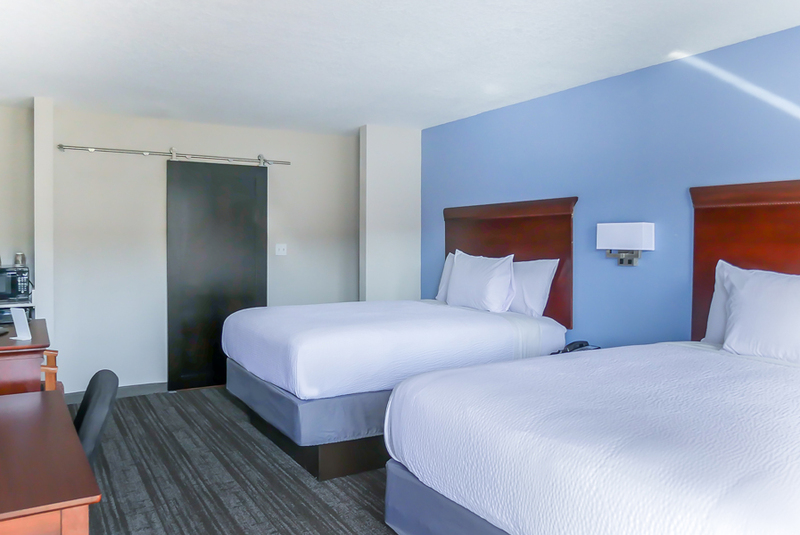 Indulge in our modernized guestroom featuring 2 queen beds, a fully-equipped kitchenette including a full-size refrigerator, glass stovetop, dishwasher, large microwave, cookware, silverware, dishes and glasses, free hot breakfast, and free Wi-Fi. Ask about our Extended Stay Discounts!